Bring your Paystub or W-2 when you receive it to any M & M Tax Service location. We will estimate your tax refund. If you qualify, you will receive $50 cash instantly! 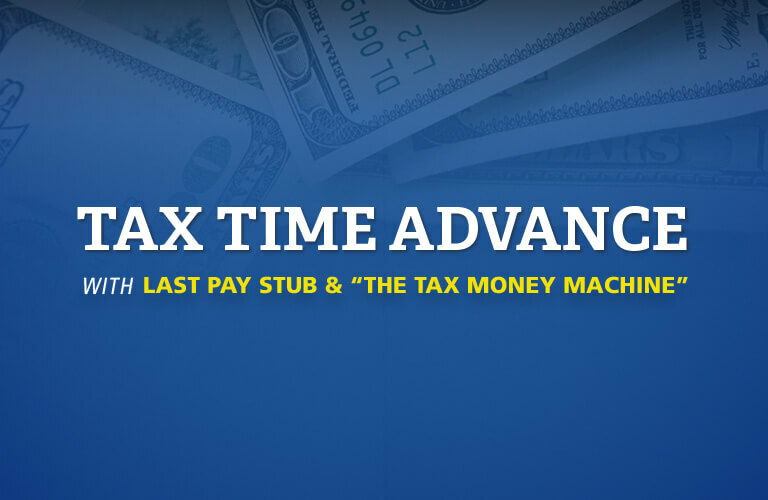 Once you have all your W-2s and other tax stuff and you're ready to file your tax return, you may apply and qualify for a Easy Advance* up to $6,000 in as little as 24 hours! Most refunds come back in 7 to 10 days and could take as long as 21 days depending upon when the IRS actually release your tax refund. That's right, take home up to $6,050 of your tax refund in less than 24 hours when you file your taxes at M&M Tax!